Located in the Metropolitan DC area, APMP-NCA is the second largest of APMP's worldwide chapters. Advance your work and career by attending any number of our educational and entertaining events throughout the year. APMP-NCA is run by members elected from member ranks. They are always eager to hear how to improve the organization. A scholarship award is available in the amount of a full early bird conference registration for the 2019 APMP International Bid & Proposal Conference in Orlando, May 20 – 23, 2019. Please refer to the conference web site for specific conference information: https://www.apmp.org/general/custom.asp?page=orlando. 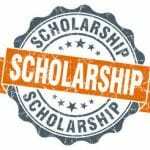 The scholarship covers Early Bird Full Registration for an APMP member affiliated with NCA. The award is for 2019 only, and the scholarship award will be paid directly to APMP to cover the cost of registration. Full information and the scholarship application is located here. All application materials must be received by March 8, 2019.